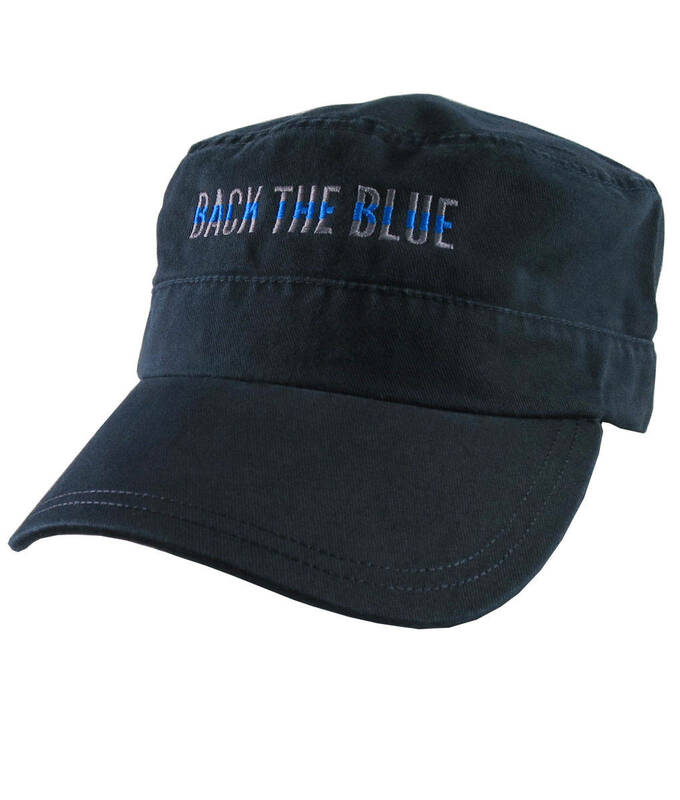 “Back The Blue”; a typographic headline graphic inspired by the symbolic thin blue line. 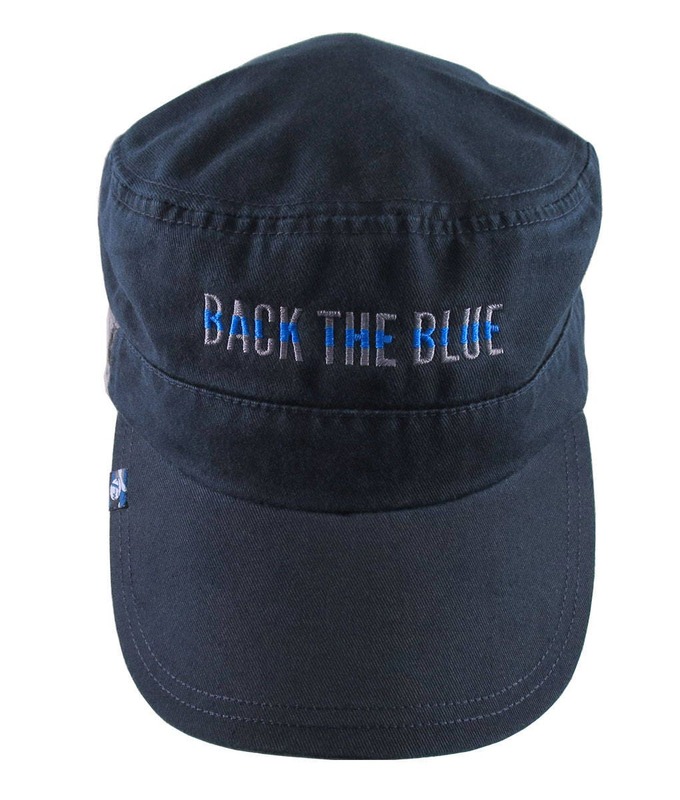 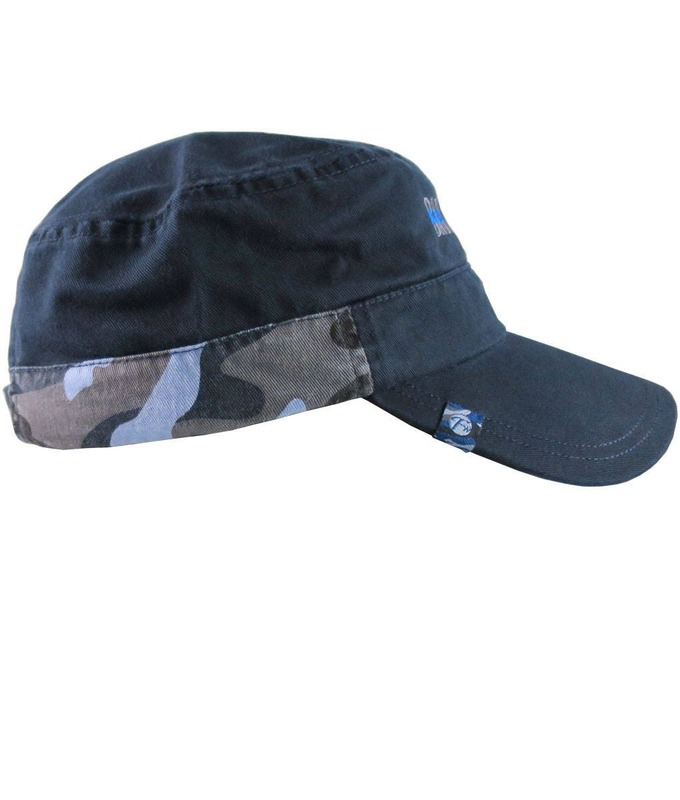 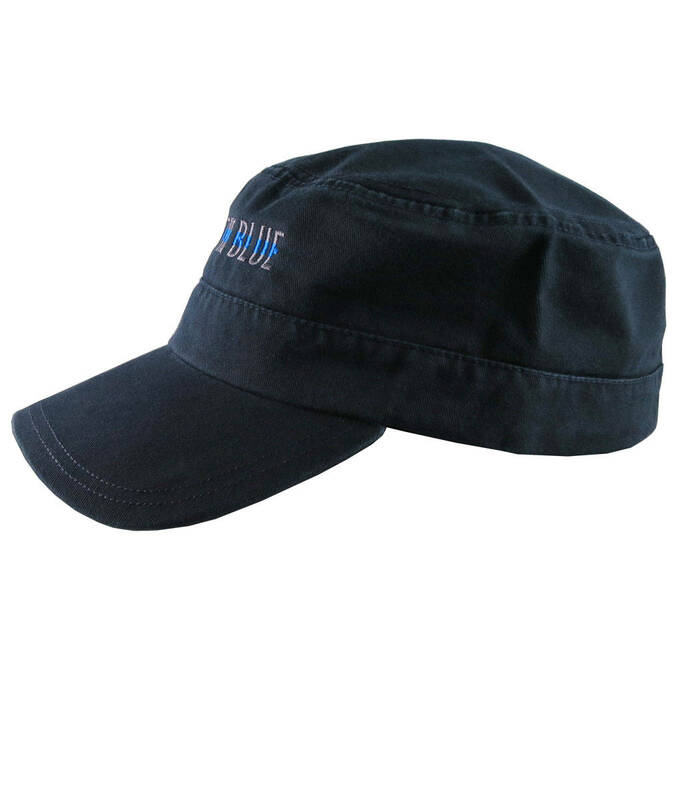 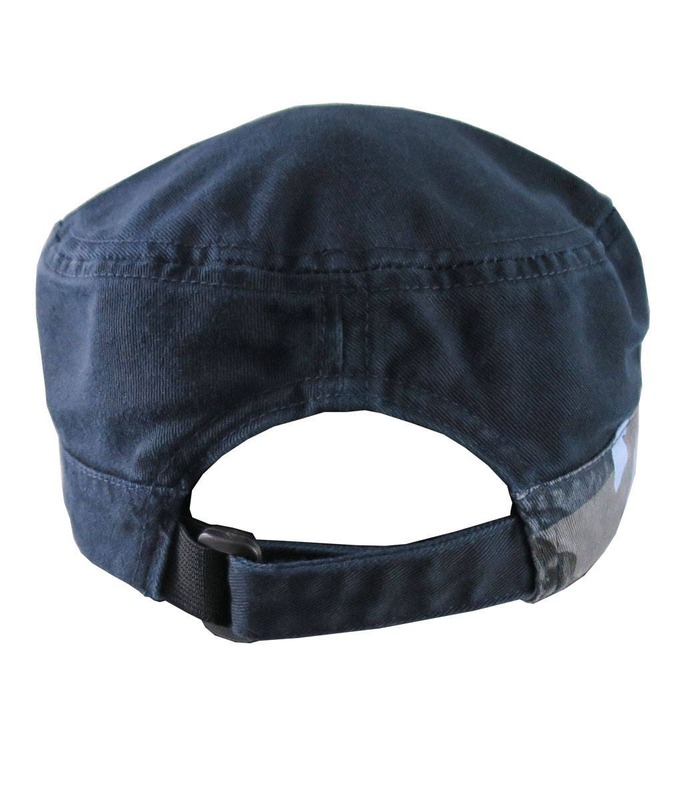 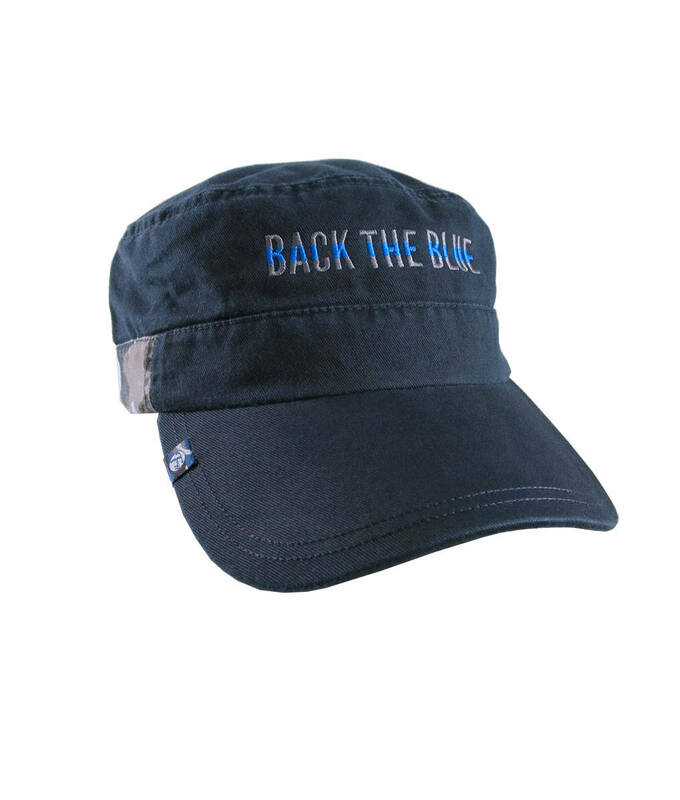 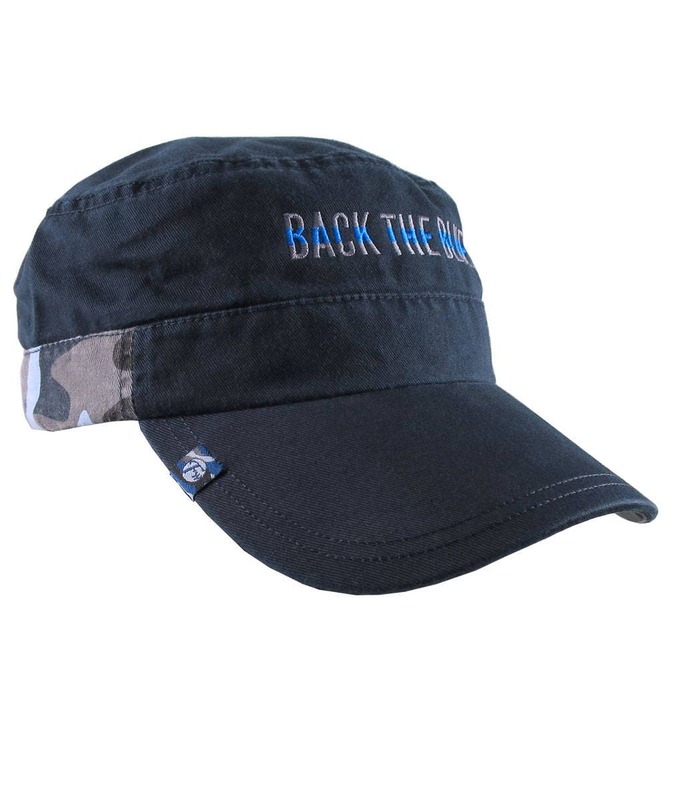 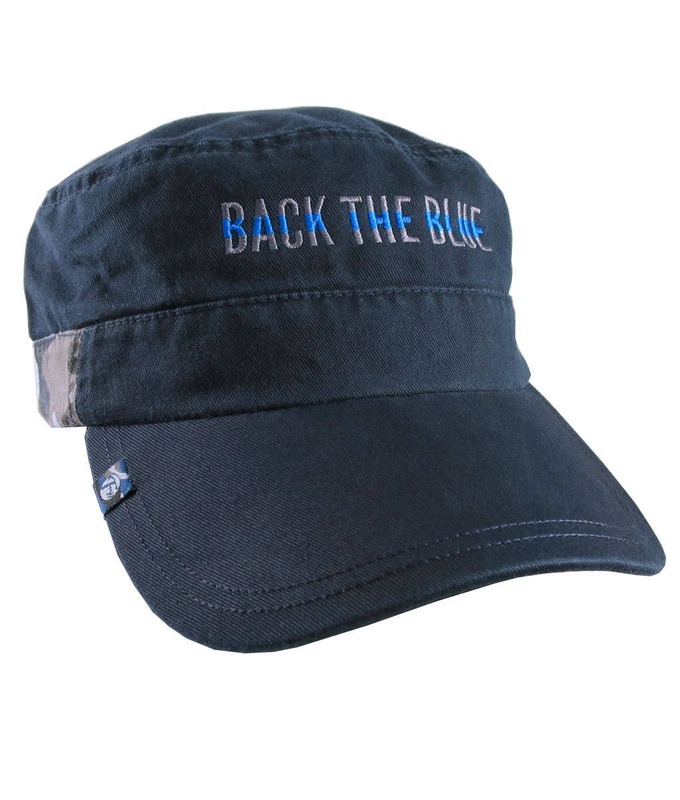 The charcoal and blue embroidery design is offered on this comfy 100% premium washed cotton twill low-profile adjustable military style cap making it an excellent choice for casual everyday and special occasions. 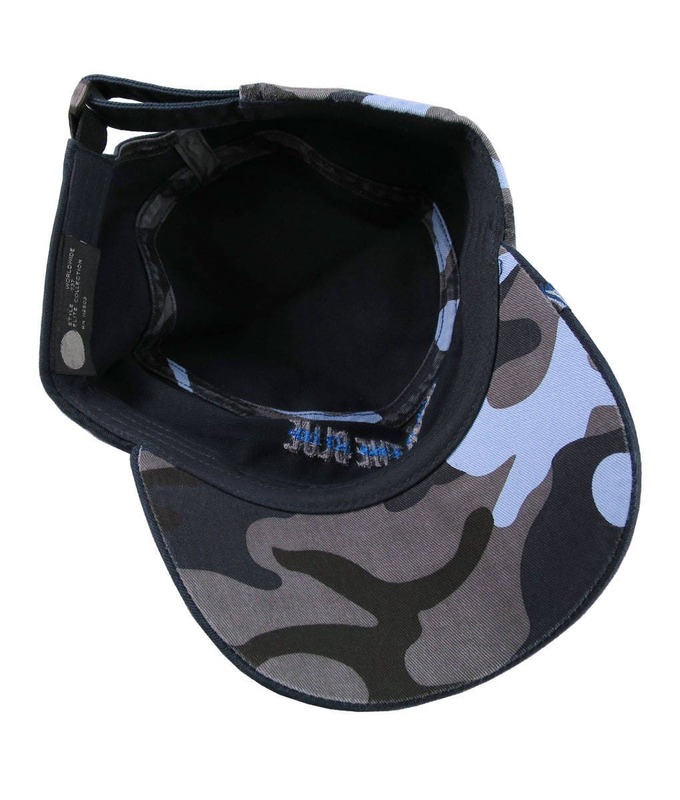 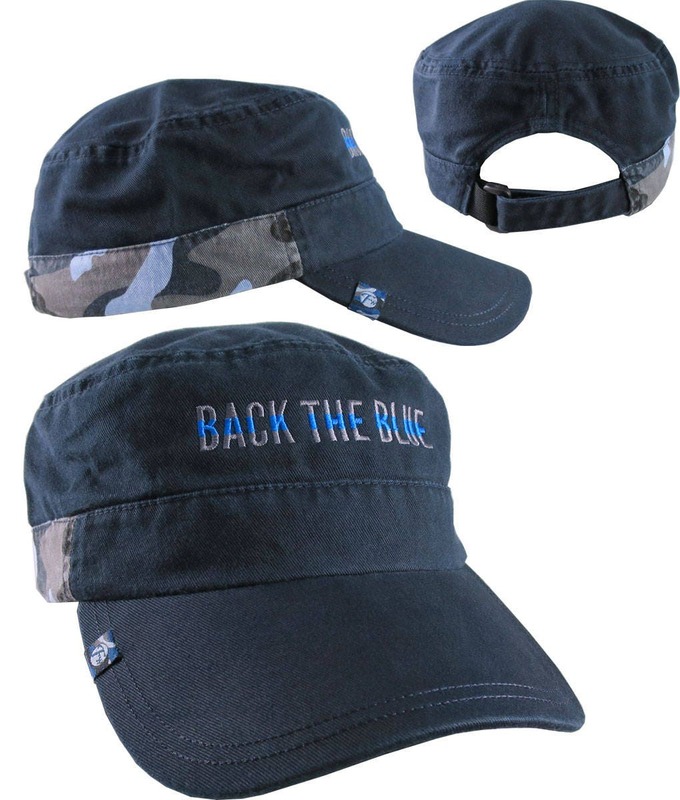 The cap is also nicely trimmed with blue camouflage details.